Medium thick guitar pick with raised dimples on one side and a cutout in the center. 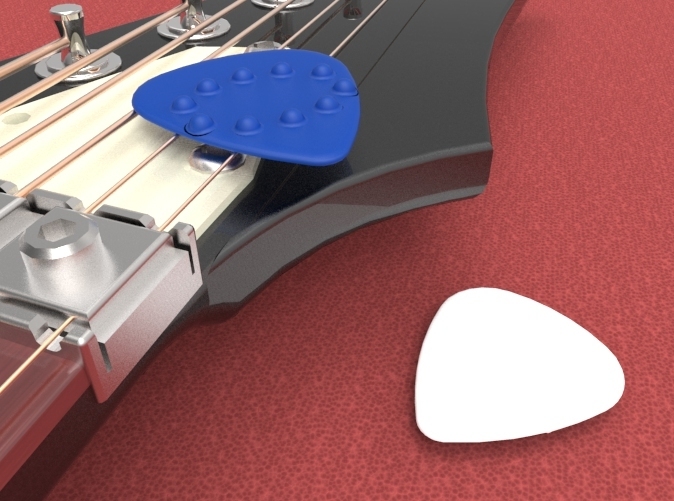 The dimples help to keep the pick stable in the players fingers especially during strumming. This is a great pick for rhythm guitar players.